The classic Gimlet recipe is half gin and half lime juice. The most common recipe uses Rose’s (sweetened) Lime Juice, but you can also use real lime juice and simple syrup. Because Rose’s has been around forever and is a quality product, you can actually use it and still respect yourself (unlike some other bottled mixer shortcuts). Whichever way you go, the end result is a light, refreshing lime drink with juniper overtones from the gin. 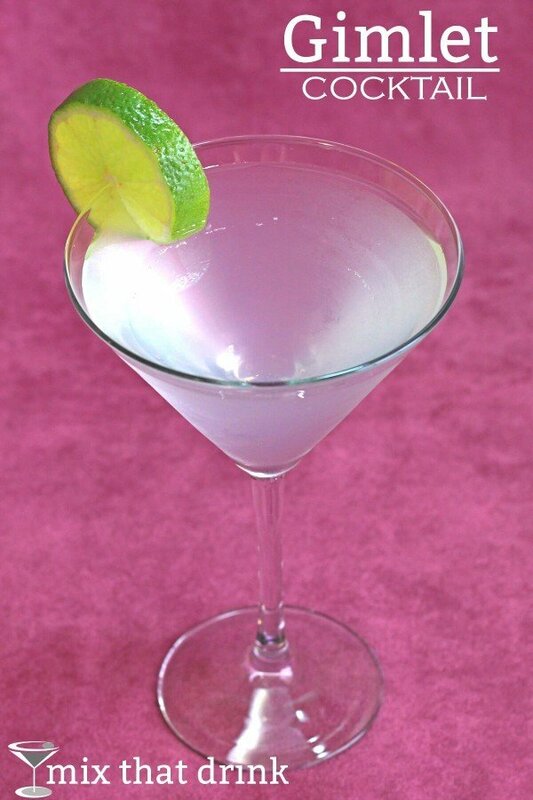 If you don’t like gin, you can use vodka instead, but then the drink is called – wait for it – a vodka gimlet. In fact, if you order a gimlet in a bar, you’re about as likely to get vodka as gin if you don’t specify. But that’s basically just vodka with lime juice – a perfectly respectable drink, but one that lacks the subtle nuances of gin. And speaking of gin, it’s definitely worth it to spring for a good quality one that you like the flavor of. Hendrick’s has bright citrus notes that work very well in this drink. Bombay Sapphire is a little more herbal, which makes for a wonderful contrast with the lime. This drink pairs very nicely with many Mexican dishes, thanks to the lime flavor. Try it with enchiladas rancheras. Pour the gin and lime juice into a strainer half-full of ice, stir well, strain into a cocktail glass and add the lime wedge. You can also just mix it in a glass with ice and serve it on the rocks. Preparation is the same as for the above recipe. Now, of course, people have tinkered with the ratio of gin/vodka to lime over time. Some bartenders make it with far more of the alcohol and less of the lime. Find your own preference.